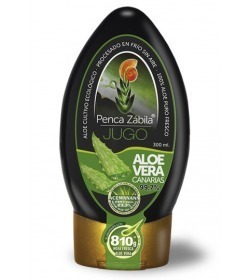 Pure Aloe Vera: 99.7% of total content of fresh Aloe. Only 0.3% of preservatives, only 3 tenths of nature. 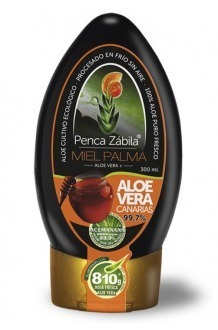 Fresh Aloe Vera: Elaborated with 810 grams of Fresh Canarian Aloe Vera leaves Barbadensis Miller Canariensis. 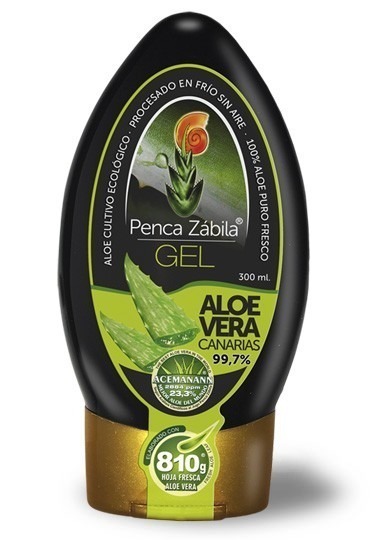 Aloe Without Air: Integral Processing in Air-Free Cold Tunnel (Exclusive Worldwide Technology Penca Zábila ®) Aloe without contamination, or oxidation, unique in the world. 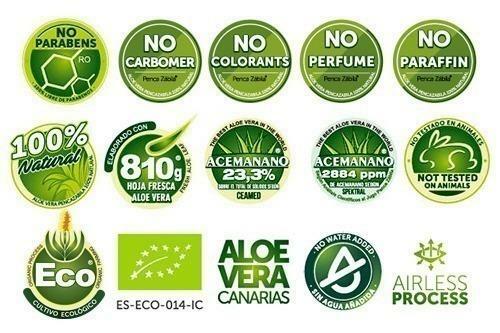 Ecological Cultivation: 100% Ecological cultivation certified nº CRAE 1928F. Maximum Active Principles 1: 2884 ppm Acemannane. 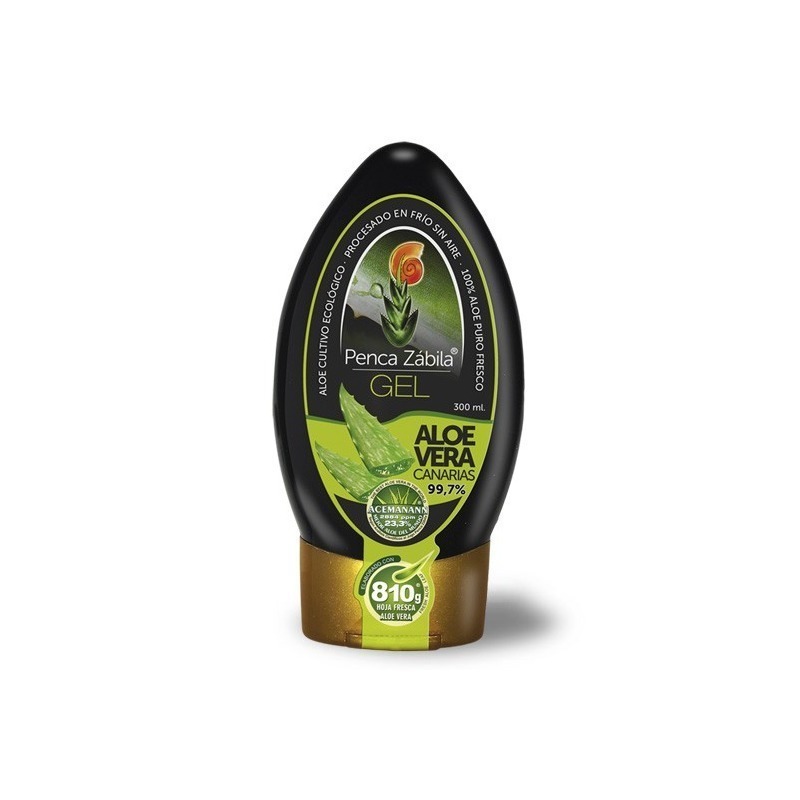 Best World Aloe Vera · Kölhn Spectral Laboratory in Germany. Maximum Active Principles 2: 23.3% of Acemannan of the total solids · Atlantic Medicinal Center. Not from concentrates. 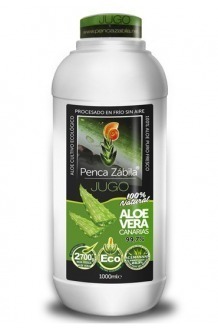 Not pasteurized, only pure fresh pure aloe vera. 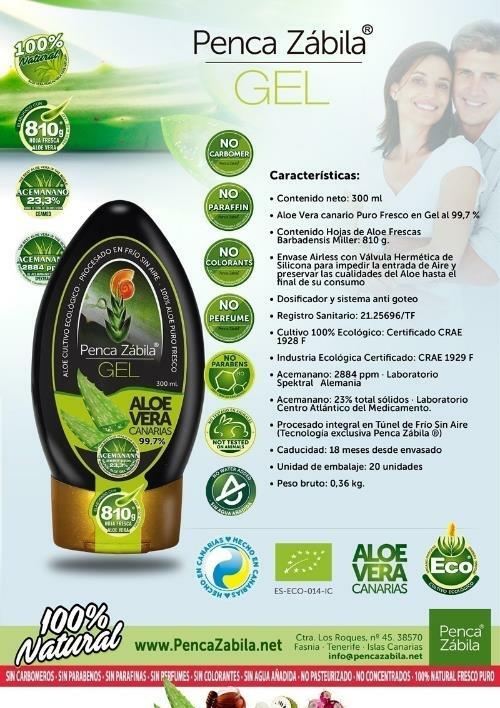 Airless Valve: It prevents the entry of Air and preserves intact the qualities of Aloe until the end of its consumption. Shelf life: 18 months from packaging. Once opened consume in 3 months. 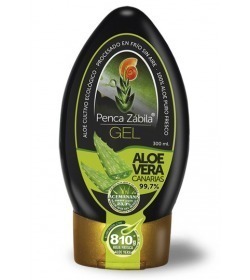 Scientific analyzes performed by the German laboratory Spectral S. Laboratorium fur Auftragsanalytik from Cologne to Aloe Vera PENCA ZÁBILA® qualify as THE BEST WORLD ALOE VERA for having obtained 2884 p.p.m. of Acemannane. 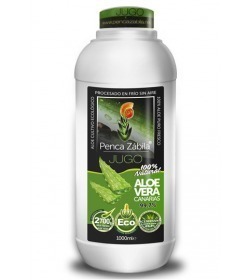 Also the new scientific analyzes made by the Atlantic Center of the Medicine to Aloe PENCA ZÁBILA® have shown again that with an Acemanano content of 23.3% of the total solids, we are faced with an unusual concentration, so it is confirmed once again that PENCA ZÁBILA® is one of the best in the world, scientifically proven. 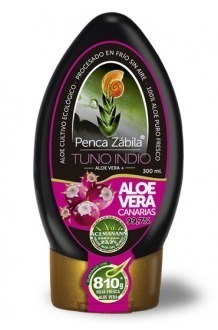 The keys are found in the unique conditions of our production aloe vera farms in Fasnia to the southeast of Tenerife: Volcanic Lands of Great Altitude under El Teide, Alisios dominant winds, the influence of the Atlantic Ocean and a unique Microclimate that they have allowed in combination with the most Advanced manufacturing technology of AIR-FREE COLD TUNNEL, exclusive worldwide PENCA ZÁBILA®, create the best Aloe on the planet, Pure Aloe Vera PENCA ZÁBILA®. 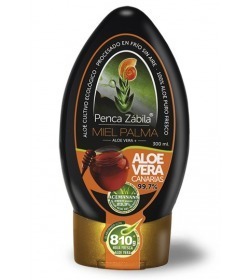 Our Aloe Vera PENCA ZABILA is FRESH PURE CANARY ALOE VERA Barbadensis Miller, PURE ALOE 99.7% only to 3 tenths of the nature, 100% ECOLOGICAL cultivation certified and PROCESSED IN COLD WITHOUT AIR (exclusive technology worldwide PENCA ZÁBILA). 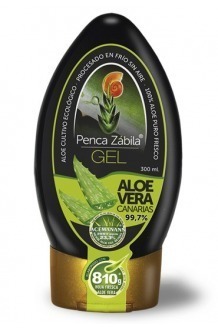 Penca Zabila Pure Fresh Aloe Vera Gel provides all the benefits of a plant. 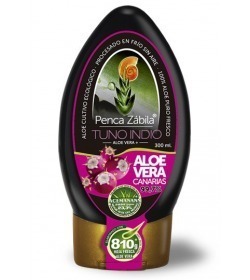 Especially suitable for skin blemishes, burns, wounds, muscular problems, stretch marks, skin disorders. Activated, regenerates, protects and soothes the skin. 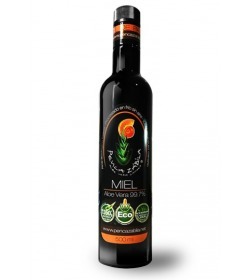 Stretch marks, spots and wrinkles of the skin; For being a great inhibitor of melanin and cellular regenerator. Antiaging of the skin because it stimulates the synthesis of elastin and collagen compensating its loss with age. Sunburns or by fire; Excellent aftersun. Quickly decreases pain and blistering and regenerates tissues. Regenerates tissues and reduces scars. Acne, for its bactericidal properties. Rheumatism, arthritis and arthritis; Being analgesic and anti inflammatory. 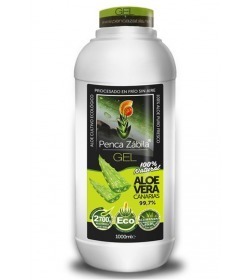 Psoriasis and Eczemas; The most effective and natural. Varicose veins Use on clean dry skin. Spread with a light massage and let absorb. Apply as often as desired.